The first time we met was meant to explore ideas on how to apply the concept of Time Bank to the Thai context, beginning with Rotarians. It is undeniable that members of Thai-speaking clubs are leading the community services in every Rotary district, given only a few English-speaking ones. 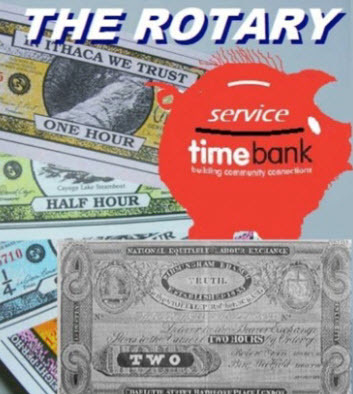 In their clubs, too, they said there are more “non-engaged” Rotarians who are piggybacking, if not altogether taking free rides, on fewer fellow Rotarians’ services above selves to the society, yet are proud as birds of a feather among them. Last week we learned of a strong civic group working in the Yot-se community near Wat Sra Bua, next to the Kasat Suk bridge at the end of Rama 1 road. Elderly people there would be visited by volunteers during the day when their working children left home, as Thai people always live in an extended family compound. Children coming back from schools in the afternoon would be tutored by volunteers from outside the community. We agreed to meet the Abbot of the temple in the near future. Today we invited PP Likit from RC Bangkok Ratanakosin to the LINE chat group with 26 Rotarians, 2 PDGs (6 from RCB). Likit founded the Yannawa Rotary Community Corps (RCC, just in case you haven’t heard of this RI initiative before.) He also chairs the Elderly School he founded in Yannawa and Pai Singto RCC in Klongtoey. Nevertheless, RCCs and even Thailand’s first time bank (supported by the Thai Health Promotion Fund) and most of the “Mrs. Dogooders’ civic groups” (Rotary included) are typically comprised of Mrs. & Mr. Dogooders, who are “givers of services” to community members. The recipients are their customers, hence they overlook the fact that the receivers don’t realize their own potentials to become givers of some sort, someday. We agreed that we should not create another Mrs. Dogooder community, but to build strong civic groups in which all members are “active givers, to each other, and to offer services in exchange of outsiders’ services.” They must be sustainable on their own, after our initiations. *Time Bank could offer these people extra jobs, but their earnings would be put in escrow. *Their “earnings” could be withdrawn in kind when they need to “buy services” in the future. members, or solicit agreement to swap meat with other time banks. In the Time Bank TedTalk, a former drunkard lost his inspiration, saying he had no skill to offer anybody. The Bank manger assigned him to greet people visiting the office, and his “service credits” started accumulating from day one! As a soccer fan, but cannot afford to pay for football event tickets, the bank manager used the credits earned in the passbook to swap for football tickets with another time bank that had been established inside a football club. In today’s discussion, an unemployed or a part-time motorbike taxi driver may be offered a job of sweeping the temple ground to earn his time credits. He could also earn more when he helps change lightbulbs or visits lone homebound elderly people in his neighborhood. These jobs are penuts, yet most of the unemployed don’t see the opportunity, and nobody comes in with the time bank concept to inspire them and start the engine! Our friends from RC Charoennakorn, who have won several Global Grant projects in recent years, and have advised us on our palliative care GG, agreed to push for a multi-club Global Grant project. Thai-speaking clubs have a strong bond among them, and in time of needs, together they won District and RI approvals in their joint efforts. Look, for example, the regularly held “Rotary One Day” events that draw several clubs to pull in their resourcees to attain acheivements.